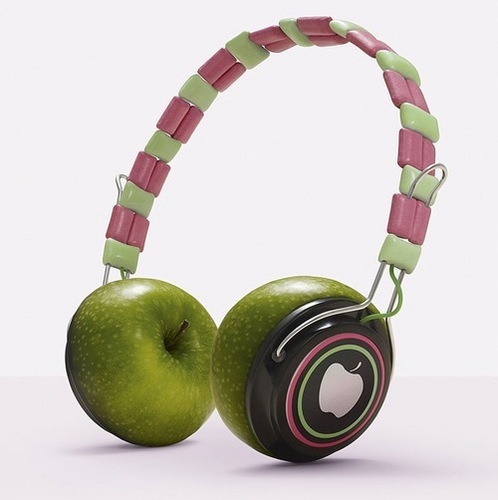 manzana, apple Headphones. . Wallpaper and background images in the música club tagged: music funny Apple head phones headphones cute green.